Going to visit Belarus or just interested in learning about the cities in Belarus? Most people just know about the capital of Belarus, Minsk, but have never heard about any other cities. 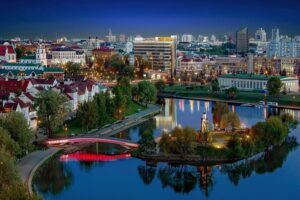 Here, we will tell you about Top 10 Cities in Belarus You Should Visit, which are no less beautiful and interesting for a tourist than Minsk. All of the Belarusian cities in the list have their separate pages on our website with more detailed information and videos with nice attractions, so that you have a general opinion of each city. Belarus is divided into 6 regions (oblasts) named after the capital city of each of them: Minsk, Vitebsk, Grodno, Gomel, Mogilev and Brest oblast. They are also the largest cities in Belarus. The capital, Minsk, is a megapolis with 2 million people, and the most visited city in Belarus. You can read about it in a separate article with reasons to visit Minsk. It was a list of top 10 largest cities in Belarus. Now, it is time to move to the most beautiful ones. This list is in no particular order, they are the top 10 cities in Belarus to visit. You decide, which the best one is. So, here are the most interesting and beautiful cities to visit in Belarus. Enjoy! One of the largest cities in Belarus, capital of the Brest region. This city is well known to the people, who are interested in history. And, indeed, it played a major role in the history of Belarus and the USSR during the Second World war. 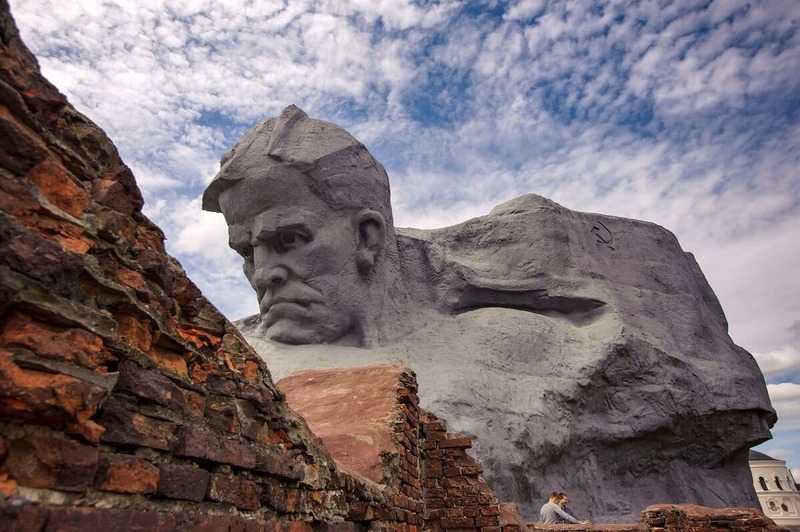 The most visited attraction in Brest, and one of the most popular places to visit in Belarus is the Brest Fortress. It is a fortification complex, where the soldiers were defending their land from German invaders. They were able to defend the fortress for 2 month, while the whole Poland was conquered in just 2 weeks. Read more about the heroic Brest fortress in the article about Brest. The city itself also has several interesting places to visit. You can be interested in visiting the main pedestrian street Sovetskaya. There, you will find numerous cozy cafes and restaurants. We recommend you to stay there at least until the sunset, because then you will have an opportunity to view the famous lamplighter, who every evening lights the very beautiful kerosene lanterns on the street. Only after he finishes his procedure, the lights in the whole city turn on. A must thing to do in Brest is to take a picture with him. 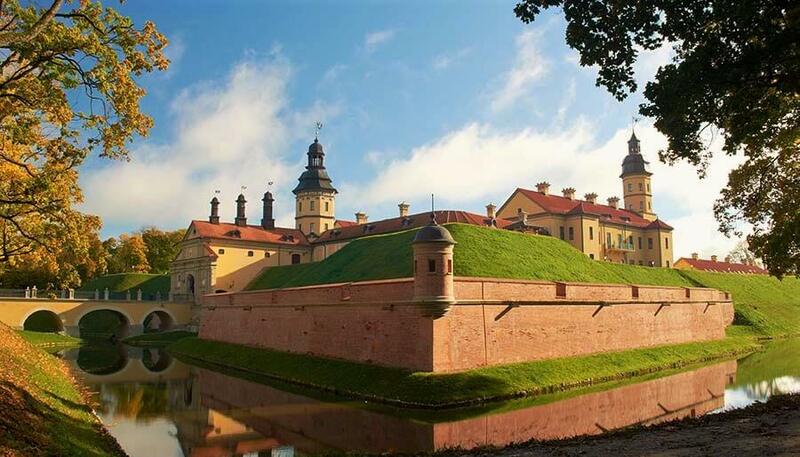 Another great city to visit in Belarus is Nesvizh. This town is located in Minsk region, 120 km away from Minsk. Nesvizh is much smaller than most of the cities in our list, but it is very popular among tourists. Find out, why! The main attraction of Nesvizh and the reason, why so many tourists come here is the famous Nesvizh castle and palace. The rich family of Radziwills owned the castle, as well as several others like the nearby Mir castle. Read about other castles in Belarus. The castle is surrounded by a moat and a beautiful park, where you can take a long and pleasant walk enjoying the tranquility and beautiful nature. The town itself is small, but also has some interesting things to do. Go to the main town square and ride in a carriage feeling like a medieval prince or princess. You can also visit some of the nice churches in Nesvizh, and stay in the hotel on the main square. 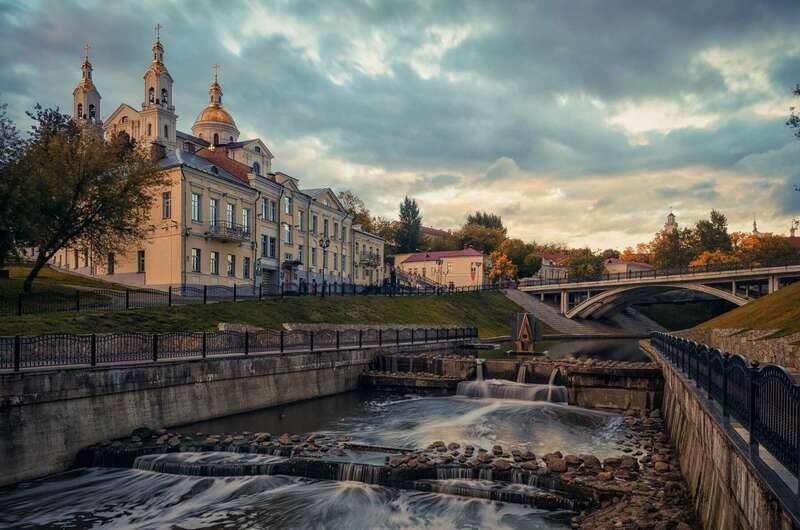 Polotsk is a city in Belarus that you definitely should visit, as it was the first capital of Belarus. Although, it lost its significance as an administrative capital, it became a cultural capital of the country, and a very popular city among tourists. Main attraction of the city is the Polotsk Sophia Cathedral, thanks to which, this town is also a religious mecca of Belarus. Other interesting things to do in Polotsk are the sign that Polotsk is a geographical center of Europe, where you can also get a certificate that you’ve been to the “Center of Europe”, the letter “Ў” monument (unique letter that only exists in Belarusian alphabet), Boris rock surrounded by legends and numerous other churches. 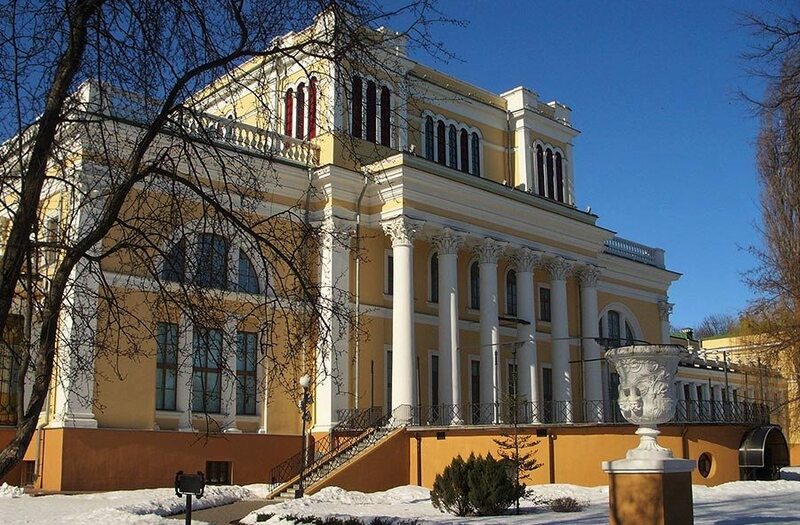 Read more to find out, what other things to do in Polotsk you can find. The only Belarusian city that has 2 castles inside the city. They can be easily found on Zamkovaya street (Castle street). 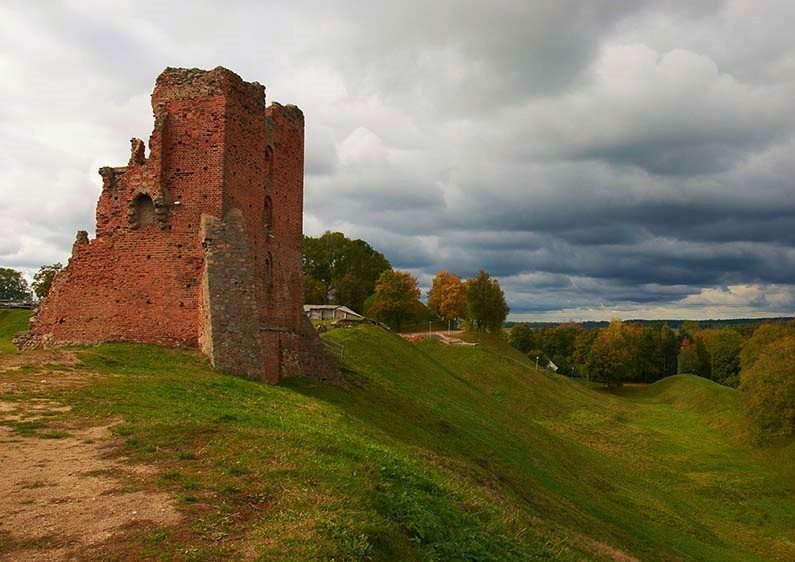 The castles are simply called the New and the Old Grodno Castle. Grodno is one of the biggest cities in Belarus. Here, you won’t reach the end of the city after 15 minutes of walking. Grodno is full of interesting places to visit. 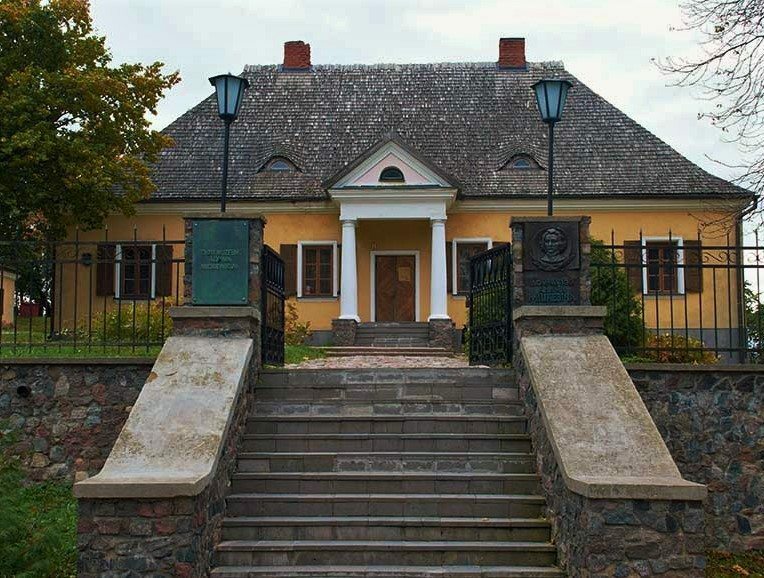 Visit the pharmacy museum, the old town, city parks. You can find some old buildings from the times when Poland ruled here and some newer ones from the Russian Empire and USSR times. 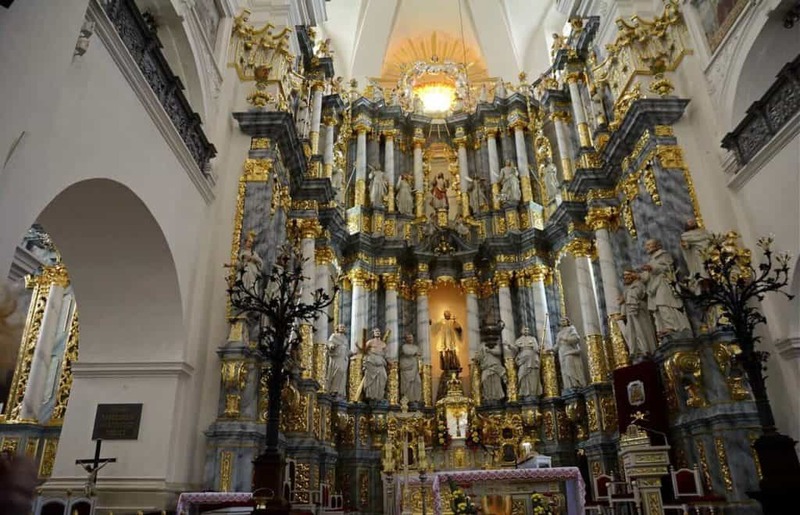 Here, you will also find a wide variety of beautiful churches of different religions. Read more about Grodno here. There are some more interesting cities in Belarus that we will tell about further. 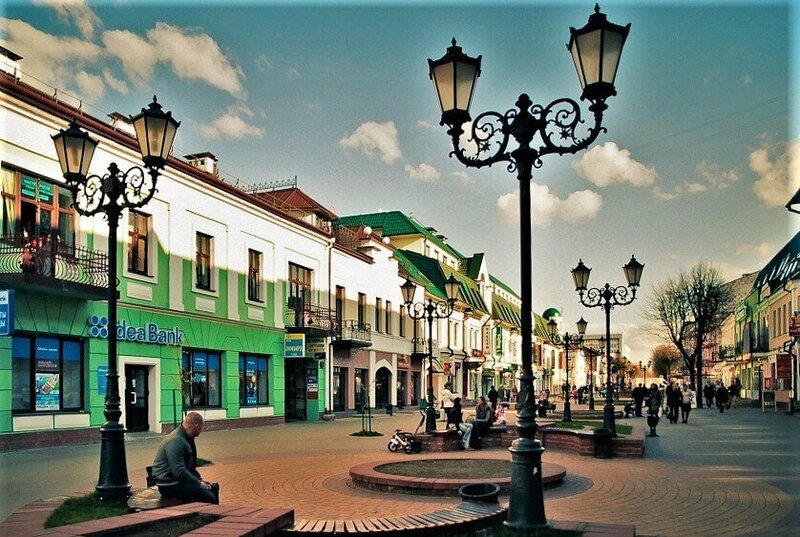 Pinsk is one of the oldest cities in Belarus. Fortunately, many of its historical sights have preserved to our days. It has the second largest number of old architectural monuments that left until today in Belarus. 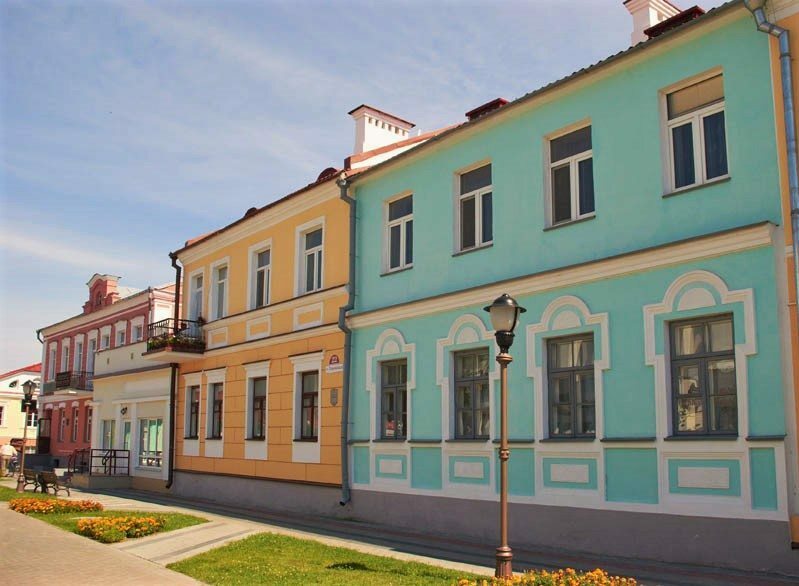 Walk on the clean streets of Pinsk and enjoy the colorful houses of this quiet town. This city also has numerous beautiful churches that may impress you. Read about other sights of Pinsk here, as well as city parks and places to visit around Pinsk. The city of Vitebsk is refered to as a small capital of Renaissance, while the big one is Paris. The city was founded in the year 974, and had a long history full of good and bad times. 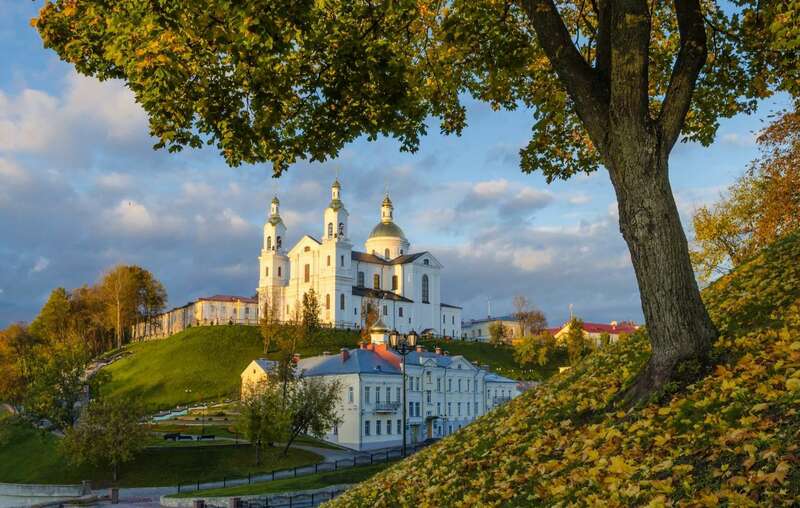 Walk along the picturesque banks of the two rivers that flow in Vitebsk, Western Dvina and Vitsba, visit some of the orthodox churches, some of the numerous museums, including the Tram museum, and attend the famous Slavic Bazaar Festival of culture organized here every year. To decide if you should visit Vitebsk, check the page with more information and a video with attractions of Vitebsk, as well as things to do near Vitebsk. One more old city in Belarus that you should visit is Novogrudok. Well, as some other cities in the list, Novogrudok has its own castle. Or, something that used to be a castle, now being restored. Even though the building did not preserve to our days, you can imagine the grandeur of the castle that used to protect the land from invaders. Novogrudok castle was built on a very high hill and surrounded by a relatively flat terrain. Hopefully, with the increasing number of tourists in Belarus, the local government will find the money to fully restore it. Still, Novogrudok is not just about the castle. It has some more places to visit during your trip. As any other city in Belarus, Novogrudok has a number of beautiful churches that are worth paying attention to. Another interesting attraction here is the Adam Mickiewicz House Museum. This writer became an important figure for Belarus, Lithuania and Poland. Definitely worth a visit. Read more about Novogrudok here. The second largest city in Belarus, as well as place that switched numerous owners during its 900-year old history is Gomel. Main attractions of the city are located nearby, in the center of Gomel. The main attraction is the Rumiantsev-Paskevichs’ palace with a surrounding park, several museums, a hunting lodge and a picturesque bank of the Sozh river. The city is worth visiting at least for its palace, but watch a video in this post about Gomel to decide, if you want to visit the city. The last Belarusian city in our list of top 10 cities in Belarus that you should visit. 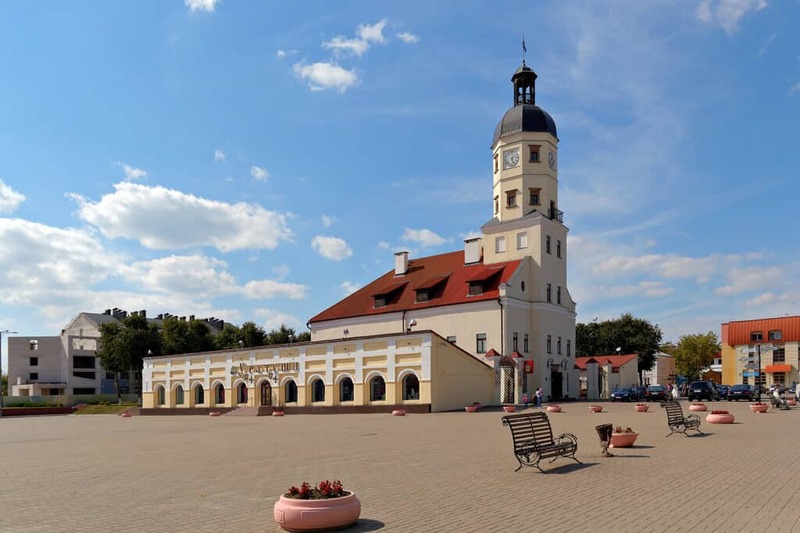 Slonim is a small town in the Grodno region, where many of the main Belarusian attractions are located, including other ancient cities, Augustow Canal and many of Belarusian castles. 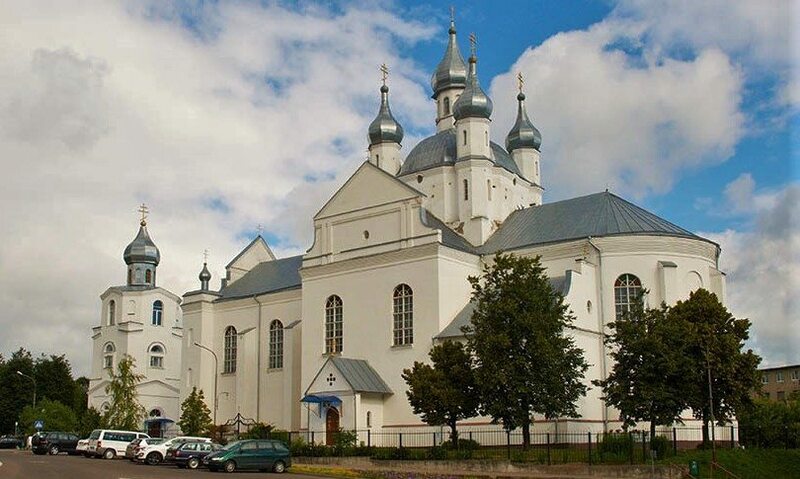 The town itself is also interesting to visit for its synagogue, St. Andrew’s church, the “bottomless lake” surrounded by numerous legends, Puslovskis earls’ manor and even the train station of Slonim deserves your attention. Read more about Slonim here. 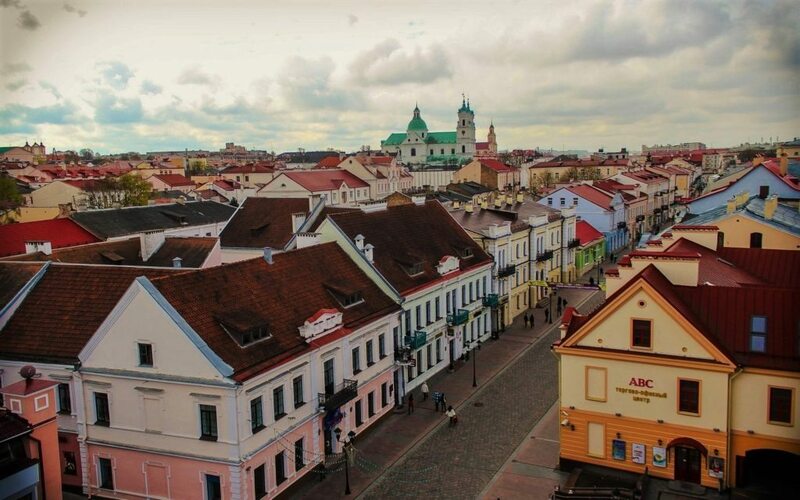 It was our review of the top 10 cities in Belarus that you should visit in your lifetime. Well, you can visit them within the 5 days, when you don’t need a visa to Belarus. Our country is great for navigation, main attractions of Belarus are located close to each other. So, read more about the particular cities, or check the 50 interesting facts about our country, and, definitely, Visit Belarus!